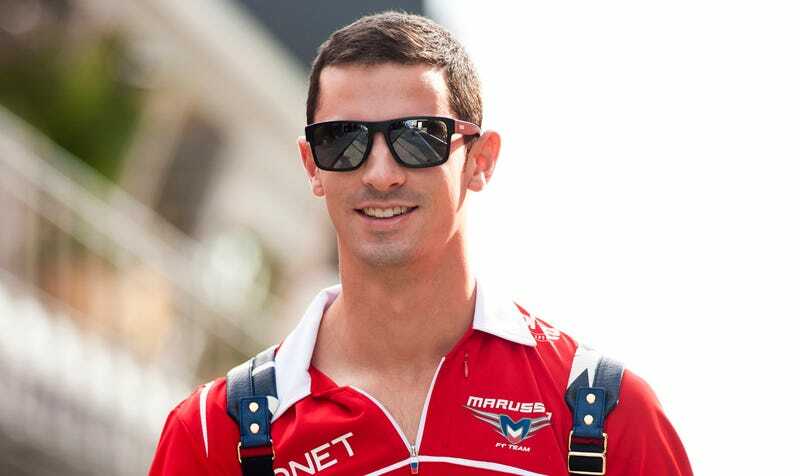 An American driver is back in Formula One, and that driver is Alexander Rossi. According to The Daily Mail, the California native will race with Manor F1 for almost all the remainder of the season. This marks the first time since an American driver was in F1 since Scott Speed in 2007, and the long-awaited race debut of Rossi, a driver who has come close to a seat several times before. Rossi is currently in second place with with Racing Engineering in GP2 but last year was a reserve driver for what was then called the Marussia team. He was supposed to drive for them at the Belgian race in 2014 but didn’t, and then nearly was tapped to sub for Jules Bianchi after that driver’s injuries. Now it looks like he’s finally getting his shot. The Mail reports Rossi’s GP2 commitments mean he will miss the the Russian and Abu Dhabi races, but he is set to debut at Singapore next weekend. Sadly, it won’t mean much for a championship, as Manor’s team currently has exactly zero points. But it’s fantastic so see an American back in F1 after so long. If it happens, that is. There’s been so many false starts for Rossi at this point, I wouldn’t be shocked if something happens between this week and next. Let’s hope not. I know I’ll be cheering for him.